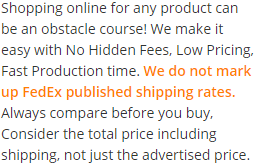 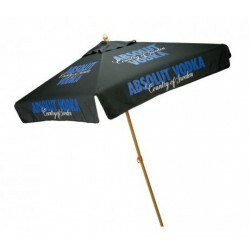 Aluminum 6 ft 6 panel custom market umbrella is fashionable, trendy, yet classic promotional choice for marketers who have been striving to grab attention at overly crowded market place. 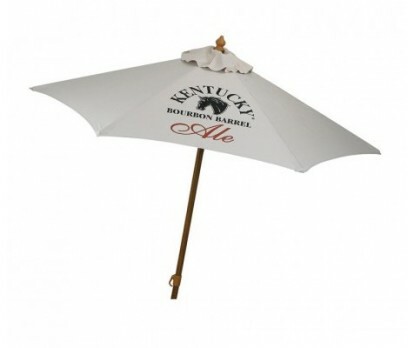 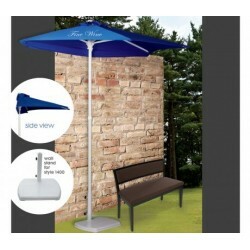 This umbrella casts its spell with appealing features such as 6 ft aluminum frame with wooden grain appearance, 6 panel configuration, and polyester cover with wind vents and tilt feature. 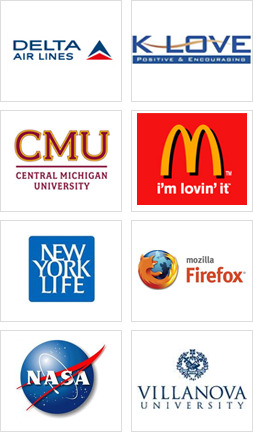 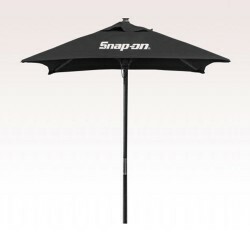 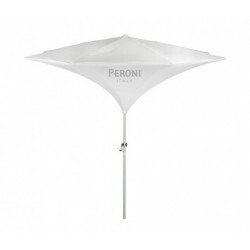 Logoed promotional aluminum 6 feet 6 panel market umbrella makes a right promotional choice for outdoor restaurants, pizzerias, cafes and other businesses, which wish to position themselves uniquely in overly crowded market place. Personalized aluminum 6 ft 6 panel market umbrellas can be availed in black, hunter green, khaki, red and white colors – depending on personal preferences or targeted customers. Imprint area - 18"w x 18"h.